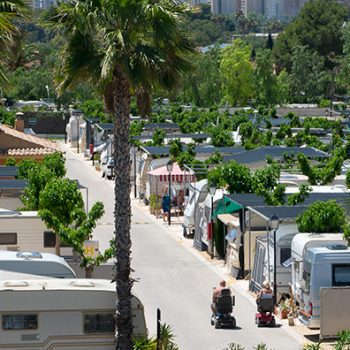 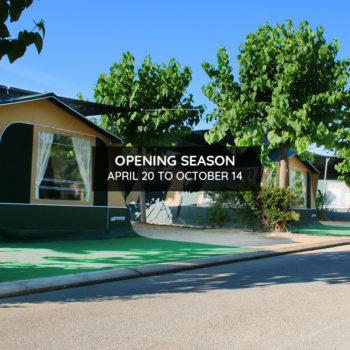 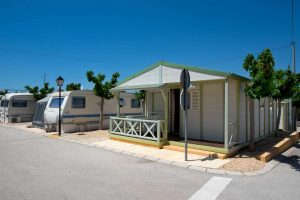 Camping Villamar has a space for mobile home camping. 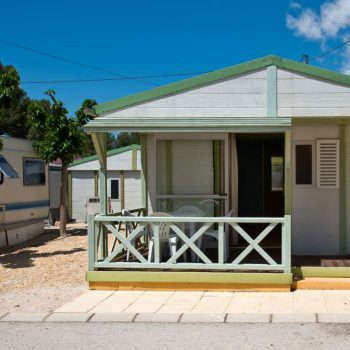 Mobile homes are perfect for camping lovers who don’t have a caravan or motorhome, but also for those who want to have their first camping experience. 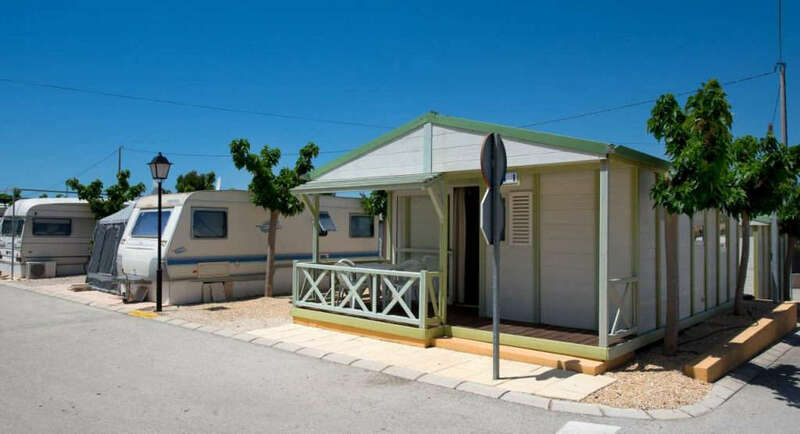 They have all the comforts you need so your holidays at the camping are pleasant and unforgettable, distributed in three spaces. 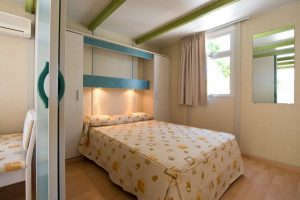 Two rooms, one with a double bed and another with a single bed and bunk bed, equipped with bedding and towels. 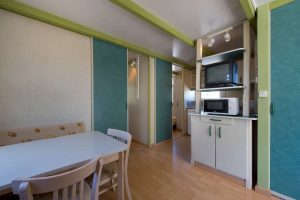 A living-dining room with television, and a kitchen with microwave, dishes and other utensils. 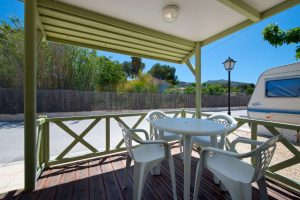 And lastly, a WC with shower and covered terrace with furniture, so you can enjoy summer evenings and nights. 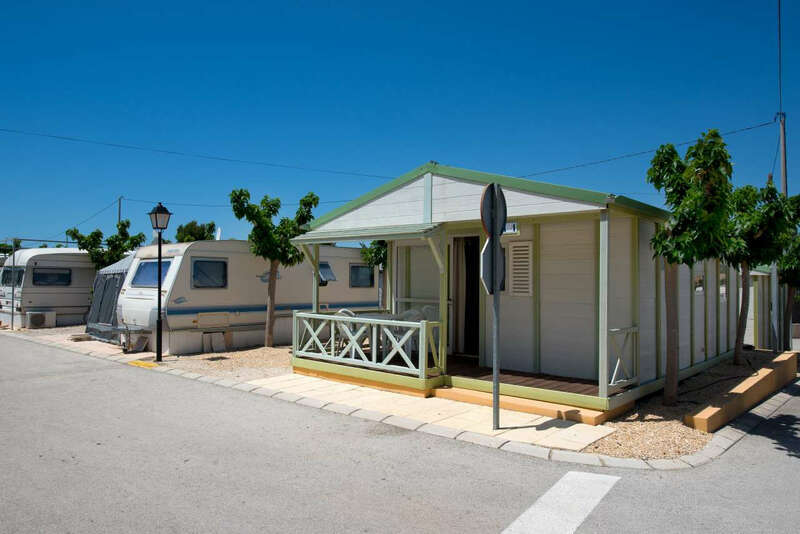 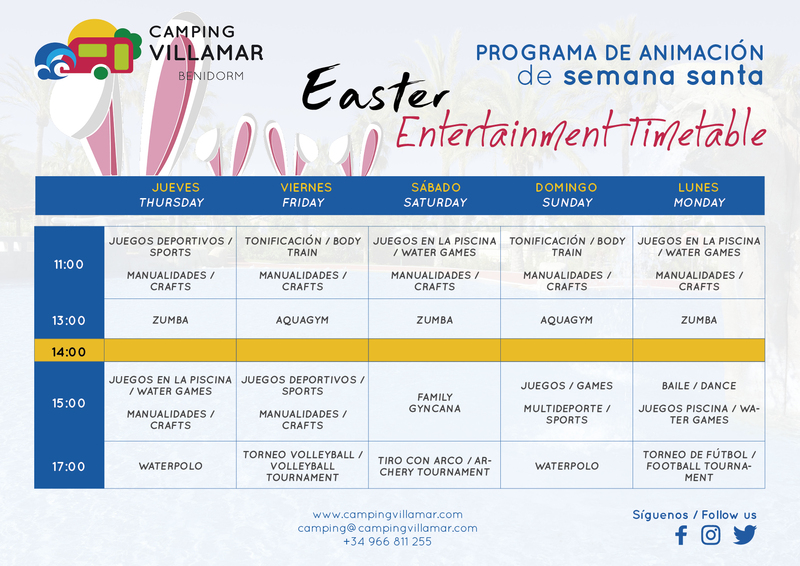 This option is what sets Villamar apart as a family camping, with 4-5 person capacity, making our mobil homes the favourite accommodation modality for families and groups of friends.